Ellen O’Mahony made the investments from the proceeds of the sale of her late husband’s pub. Dubaii has seen significant construction in recent years. A WIDOW WHO lost more than €400,000 she invested in foreign properties has sued a financial advisor and two related companies over their alleged failure to properly advise her of the risks involved. The action brought by Ellen O’Mahony says she made several investments after she received €1.2 million after selling her late husband’s pub in Castlebar in 2007. She claims that she made the investments based on representations made to her by her financial advisor and said she wanted the monies invested in low risk investments. The money she invested on foot of advice allegedly received from her financial adviser was all lost. She claims no verifiable explanations were provided to her. Her proceedings are against her advisor Thomas Connolly and two Castlebar-based firms he is a director of, estate agent Western Premier Properties Ltd trading as Premier Estates Maloney and financial services provider Morcon Financial Services Ltd trading as M&C Financial Services. Represented by Bernard Madden SC, Peadar O’Maolain Bl, instructed by John Geary Solicitors she claims the defendants failed to advise her about the levels of risk involved in the investments. The defendants consistently and recklessly misled her and misrepresented the true nature of the investments she became involved in, she also claims. Due to the defendants alleged negligence and breach of professional duty she claims she suffered loss. In her action for damages she also seeks an order directing the defendants to account for all the income and expenditure of the investment projects. She further seeks an order directing the defendants to account for all the monies invested on her behalf by the defendants. The claims she was not properly advised or misled are denied. The defendants, all represented by Paul McGarry SC instructed by Ferry’s solicitors say O’Mahony was at all times fully aware of the risk involved with the investments she entered into. They also claim that her claim is statute barred and that there was an inordinate and unacceptable delay in bringing the action against them. Opening the case Madden said his client had dealt with Connolly from about 2004 onward. He had given her mortgage advice. She sought advice in relation to property in the Castlebar area. He prevailed on her an investment opportunity in Germany. She invested €73,000 in that venture, which the court heard resulted in her getting her money back plus a profit of €22,000. Following the sale of the pub, the mother-of-five adult children claims in 2007 that Connolly persuaded her to invest in a project in Dubai called Empire Heights. She says she was reluctant to get involved in this as it would yield a high return in a short term project. In August 2007 she invested €110,000 in the project. It is claimed that undue pressure was put on her and failed to warn her of the risks. She claims she was told he needed the money immediately as she was getting the final shares in the investment or else another investor would get it. 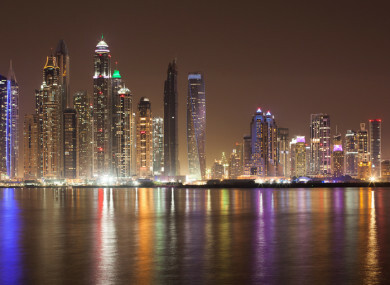 In November 2007 O’Mahony of Garryduff Drive Castlebar claims she was persuaded by Connolly to invest in another Dubai project called the Waterfront for €214,000. In Februrary 2008 she was informed that project was not going ahead and that they should transfer the money to another property project called Meyden in Dubai, and the monies were lost when that investment failed. She later discovered that the Waterfront had been sold at a substantial profit none of which she received. O’Mahony further claims that in July 2008 after being persuaded by Connolly she invested €100,000 in a project in Portugal. That project failed to completely to repay anything. The case opened before Justice Donald Binchy at the High Court today and is expected to run for a number of days. Email “A Mayo woman who lost €400k on Dubai and Portugal properties is suing her financial advisor”. Feedback on “A Mayo woman who lost €400k on Dubai and Portugal properties is suing her financial advisor”.